Never purchase a puppy from a Pet Shop or newspaper ad. Pet Shops buy the pups they sell from Puppy Mills. Newspaper ads are Brokers and Backyard Breeders. Professional (commercial breeders) are Puppy Mills. or anyone that takes Credit Cards. Below is Am/Can. CH. MAYFIELD MAGNIFICENT MAME. Meet a born again breed! In the 16th, 17th and 18th centuries, these happy little spaniels were enormously popular pets of English royalty. In the 19th century, fanciers began to favour a short nosed dog and the original Cavalier practically disappeared. In 1926, an American offered handsome cash prizes to anyone who could breed dogs that looked like the Cavaliers in the old paintings. It worked, God bless America and England! 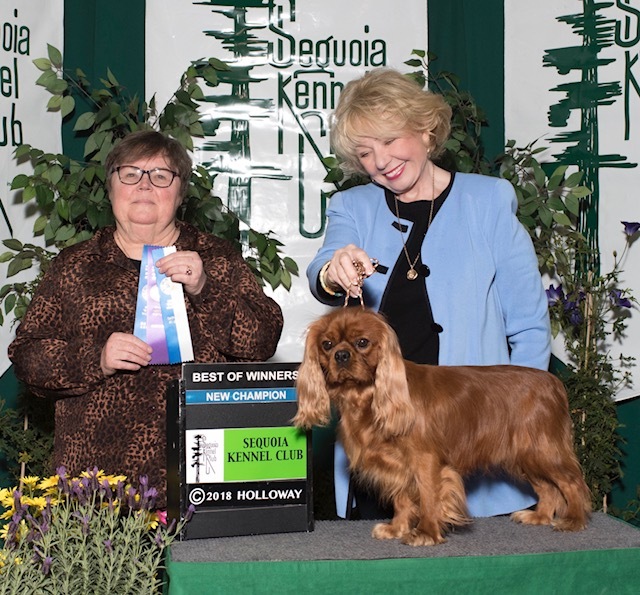 A sweet, gentle, melting expression is a hallmark of the Cavalier King Charles Spaniel.Champion Mighty Mouse, is a perfect example of what a good Ruby Cavalier boy should be. He is as beautiful as he is sweet. Cavaliers are supposed to be between 12 and 13 inches high at the withers to be the perfect height. They should weigh between 13-18 pounds at maturity, with slight variations acceptable. 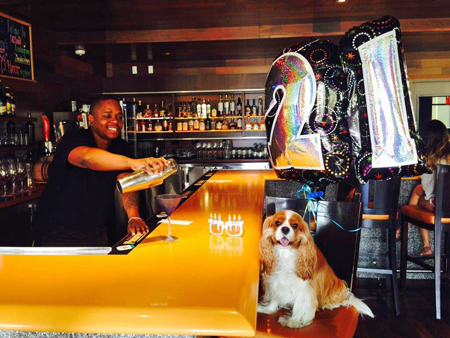 Cavaliers are loving and sweet with all ages, from infants to seniors, and make wonderful therapy dogs. They are a perfect breed for a family pet and love to sit on your lap. They will follow you everywhere. They are indoor dogs and not happy outside unless you are out with them. Best in Show Champion Grantilley As Good As It Gets ROM (Quigley) with his Champion children Scout, Nellie and Ace. 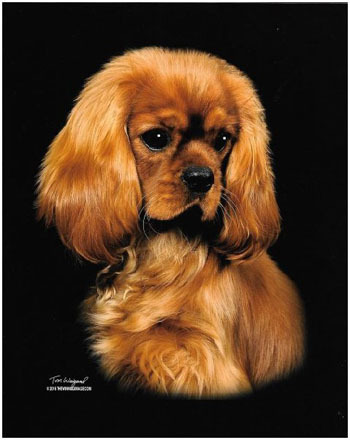 The Red and white Cavaliers were the favorite of the Duke of Marlborough and were called "Blenheim" (pronounced: Blen-um) after his family's estate, which was also the birthplace of Sir Winston Churchill. 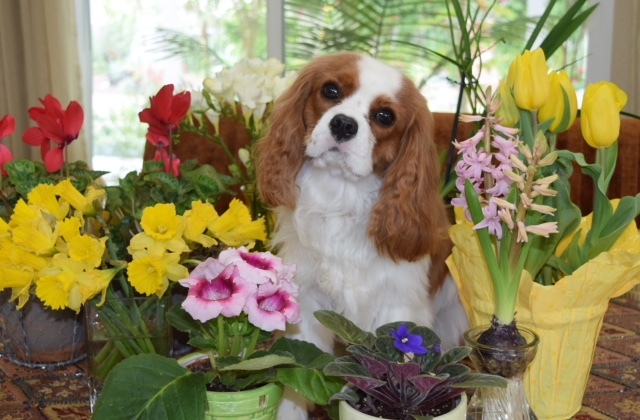 I have Cavalier's in all four colors: BLENHEIM, which is (Chestnut (red) and White); TRI (Black and White with tan points); RUBY (all chestnut "red") ; and BLACK & TAN. They are known for their loving and happy disposition. This quiet companion is neither yappy nor snippy. They have long flowing ears and large dark soft eyes. 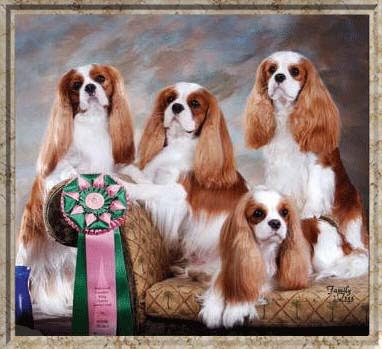 These precious toy spaniels are not only "wash and wear" (no groomer's needed) but are fearless and must be protected. They would walk up to a lion thinking it was their best friend. Millie holds the All Time Top Producer record in the National Club. 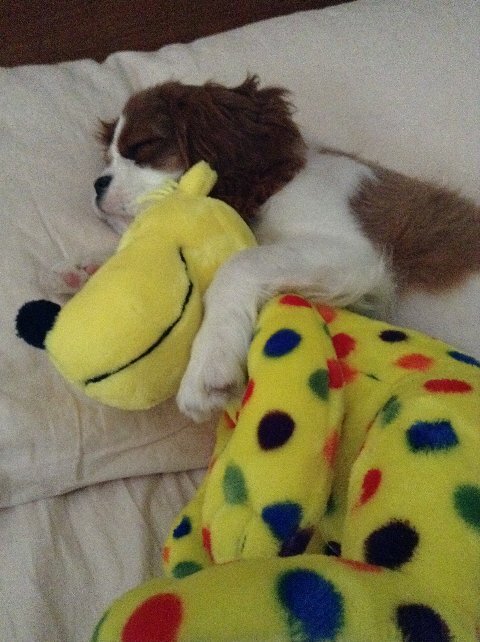 Called comforter Spaniels in the 1700's, Cavaliers served as lap and bed warmers. During the Stuart period, the breed enjoyed tremendous popularity, particularly under the reigns of Charles I and II. So enamored was Charles II of the little dog that he reportedly preferred playing and hunting with his beloved Royal Spaniels rather than tending to matters of state. 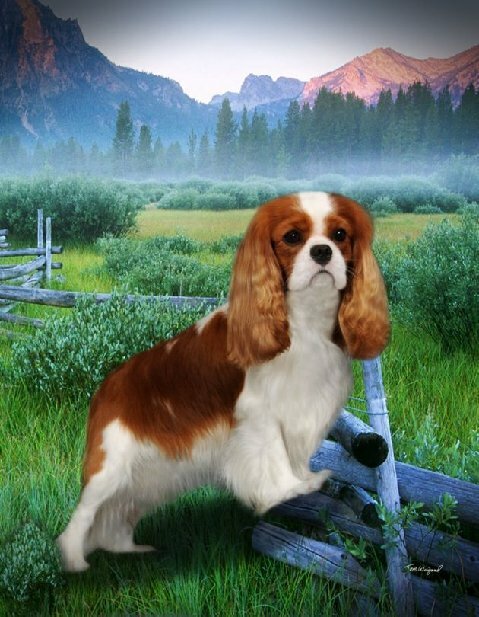 He bestowed upon the breed the royal title of King Charles Spaniel and enacted a law allowing the Cavalier in all public places, including the Houses of Parliament. The law is still in place today. His supporters were called Cavaliers, as were his loyal dogs. 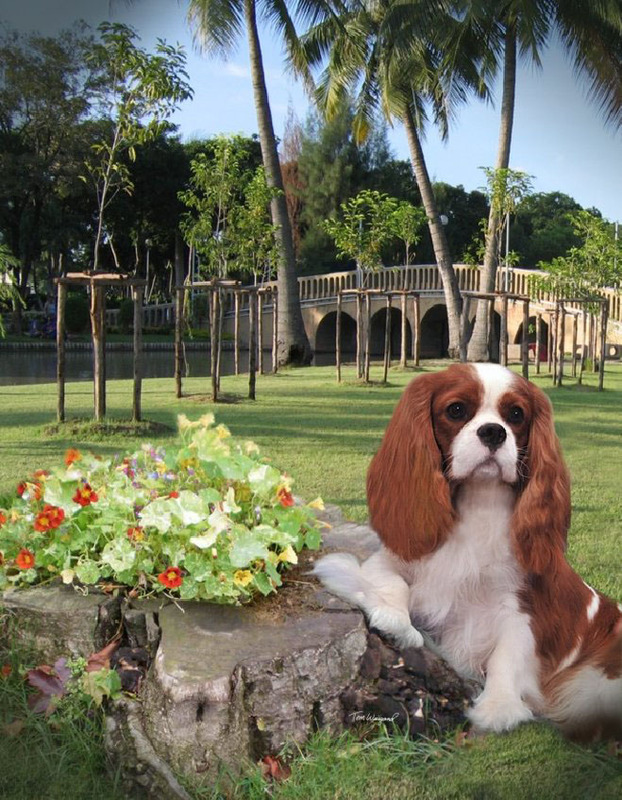 "Millie" pictured above, was one of the most loving Cavaliers I have ever known. 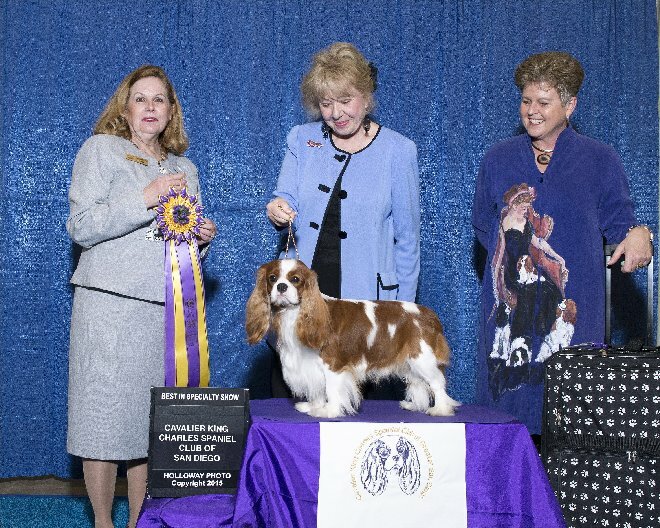 She was my first Champion at Mayfield Cavaliers, bred by Jane and Anne Thaeder of South Carolina. Millie has produced 10 Champions. 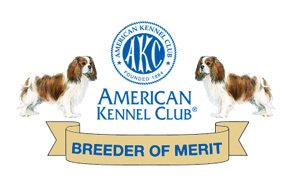 She has the highest honor award the National Club can bestow, Register of Merit. 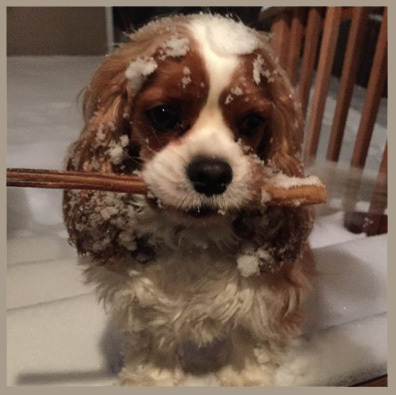 (ROM) Cavaliers do shed, however it can be kept to a minimum by keeping them clean and by frequent brushing. They do not lose their hair in klumps. They loose single hairs like humans do. They are truly a "Wash and Wear" breed, with no need for professional groomers. This is darling Amber owned and loved by Bruce and Kathy Crossman of Maitland, Florida. So you want a Cavalier - Read this. Any person who Copies off this site will be strictly pursued by any and all legal means.